(Nanowerk News) Elionix, a world leading supplier of electron beam lithography systems for over 30 years, has begun construction to double its manufacturing output. Following several years of higher-than-anticipated growth, with expansions into North America and the Pacific Rim countries, Elionix needed more manufacturing space than their existing facility provided. In addition, Elionix has recently purchased a large parcel of land for future expansion. "Expanding our facilities is essential to fulfill our corporate goal of being the leading world-wide supplier of electron beam lithography systems, as well as providing innovative nanotechnology equipment yet to come," said Yoshiyuki Makiuchi, Executive director of Elionix, Inc., "We are delighted to take this opportunity to demonstrate our commitment to our customers, and the nanotech community, for making this expansion a reality." 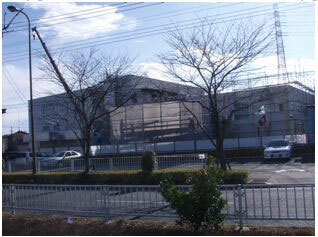 Completion of the new NanoTech System Center expansion is scheduled for March. This Center is located minutes away from the Elionix corporate headquarters in Tokyo, which offers an applications lab with clean room and customer training facility. For more information about Elionix, its products, and the contents of this newsletter, contact Gary Brake at SEMTech Solutions, or visit our website dedicated to the Elionix product line at www.sts-elionix.com. Elionix, Inc. was started in March, 1975. The scope of its business is in the research and development, design, and manufacturing of systems that utilize particle beams; electron, ion, and electromagnetic waves that include light and x-ray. Over the years, Elionix has manufactured more than 300 electron beam lithography systems and maintains the largest market share in Japan. Recent expansions into North America and the Pacific Rim countries have helped Elionix to increase its market share, and become known world wide for its excellence in scientific instrumentation dedicated to nanotechnology. SEMTech Solutions is the North American sales and service channel for Elionix, Inc. SEMTech Solutions specializes in electron beam products and services, with an emphasis on scanning electron microscopes.